A shrub is a woody, perennial plant that is smaller than a tree. Instead of a main stem, it branches at or slightly above ground level into several stems. Its hard stem distinguishes it from a herb. 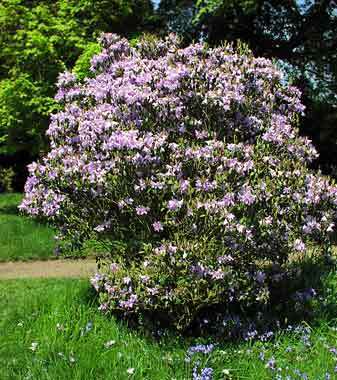 Shrubs such as rhododendrons azaleas are popular ornamentals.